Mr. Ronald C. Helberg, of Evergreen Park, IL, born on January 6, 1937 in Chicago, IL, passed away at the age of 81 on August 6, 2018 in Barrington, IL. He suffered from Parkinson's Disease and passed away from complications of pneumonia. He was surrounded by his family. Ronald was the loving husband of Marilyn of 61 years. He is survived by his children, Ken (Paula), and Don (Lynn), and Beth (Mark Sheasby); grandchildren, Jeff (Michelle), Ross, Samantha, Eric, Zachary and Jessica; great-granddaughter Nicolene and brother, Richard. Ron was one of the great men in Illinois track and field history: Member of Blue Island State Track Champion team in 1955, along with the great Willie May. Ron earned a gold medal in 880 yd. relay. Graduate of SIU. Track coach at Palatine 1959-62, Maine East 1962-67, Evanston 1967-80. Head coach of Evanston High School State Track Team Champions in 1970, 1971, 1972, and 1974. Athletic Director at Hoffman Estates 1980-88. Athletic Director at Glenbrook South 1988-94. 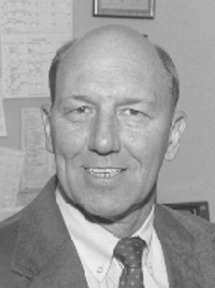 One of founders of the Illinois Track and Cross Country Coaches Association and a former president of the organization. Inductee in the Illinois Track and Cross Country Coaches Association Hall-of-Fame. Longtime Track official and referee at State Track meet. Donations in Ronald's name to The Michael J. Fox Foundation or the Parkinson's Foundation are welcome and appreciated. Friends and family are welcome to attend the celebration of life on Saturday, November 24 at Barrington United Methodist Church, 98 IL Route 62 (Algonquin Road), Barrington, Illinois, 60010 at 10:00 am.